Miami Children’s Health Foundation, along with the first family of golf, Jack and Barbara Nicklaus, hosted its 33rd Annual Nicklaus Children’s Hospital Corporate Golf Invitational presented by Stearns Weaver Miller on Oct. 19 at the La Gorce Country Club, a Jack Nicklaus Signature Golf Course. The annual event brought together business and community leaders and raised nearly $200,000 in support of the children and families of Nicklaus Children’s Hospital, formerly Miami Children’s Hospital. Golf icon and philanthropist, Jack Nicklaus, was in attendance and had an intimate on-stage Q&A with South Florida sports legend and morning show host on Sports Radio 560 WQAM, Joe Rose, during the awards ceremony where the “Golden Bear” spoke about everything from golf to philanthropy to college football. 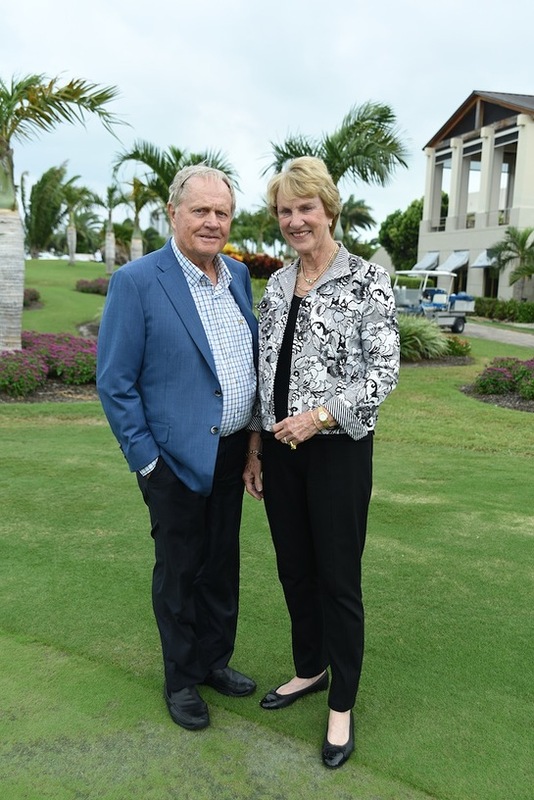 Nicklaus is a passionate supporter of Nicklaus Children’s Hospital, who, along with his wife Barbara Nicklaus as the guiding light, supports the fundraising efforts for the Together For The Children campaign. Jack Nicklaus is considered golf’s greatest champion and a sports icon that has been recognized with countless honors, including the Presidential Medal of Freedom and now the 2015 Congressional Gold Medal (only the 17th in history to receive both). He was recently inducted into the Greater Miami Chamber of Commerce Sports Hall of Champions. 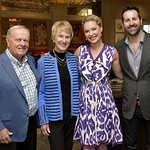 Barbara Nicklaus has been lauded for support of myriad charitable causes, leading her to be honored with the PGA Tour’s Ambassador of Golf Award, as well as the 2015 Bob Jones Award, the highest honor the United States Golf Association (USGA) can bestow on an individual. This event would not have been possible without sponsors: Stearns Weaver Miller; Arellano Construction; Premier Beverage; Robins & Morton; Presidio; Tri-City Electric; Nicklaus Children’s Health Care Foundation; Mercedes Benz of Coral Gables; Brickell Motors; iHeart Media; Red Cap; Perry Ellis International; and Intermedia.